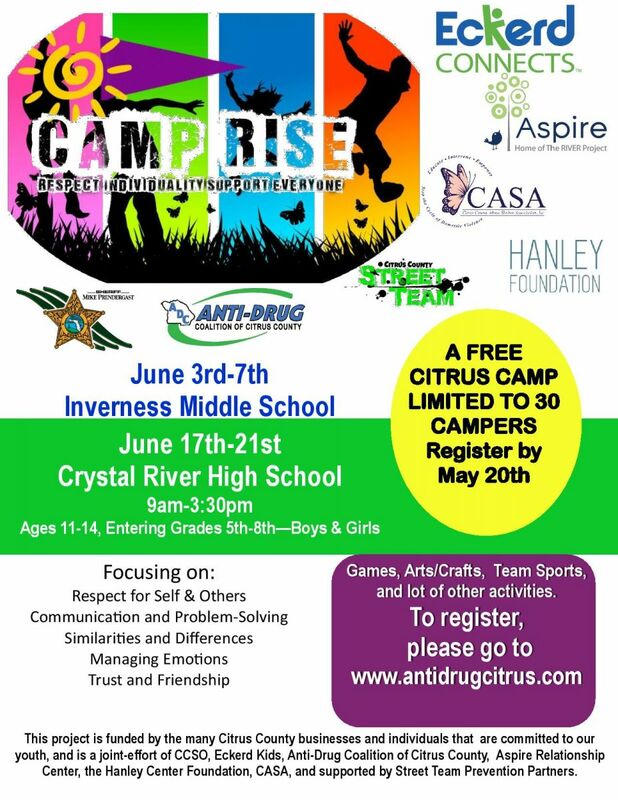 Camp Rise will be held at 2 locations in Citrus County in June. See the flyer below. Registration must be completed ONLINE. Click here now to register your child.